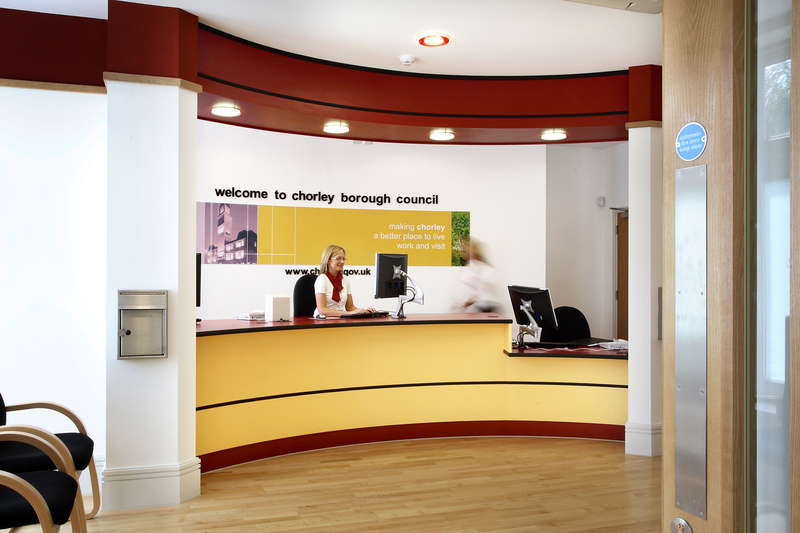 Commissioned by Chorley Borough Council, the works included a full refurbishment and reorganization of internal circulation areas, reception areas and the main function suite. 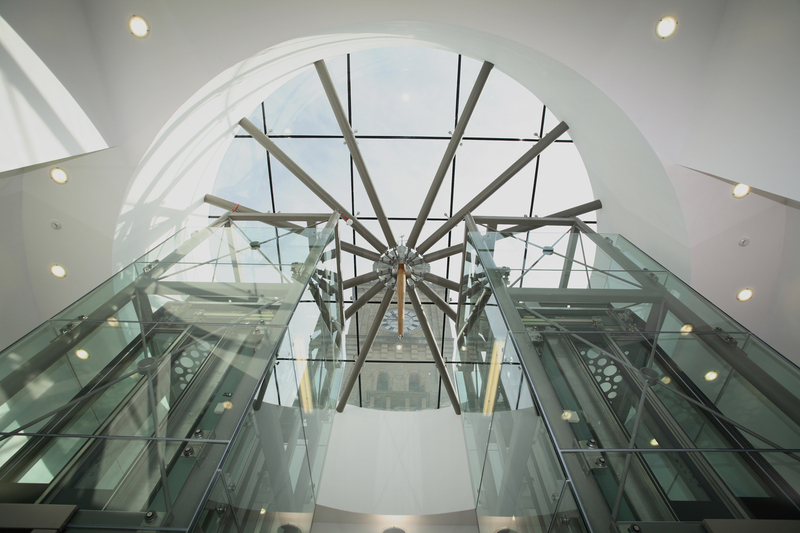 Central to the scheme was the insertion of a new glass roofed atrium with two glazed passenger lifts and new staircase to allow the building to work more efficiently, be fully DDA compliant and signal the heart of the building. 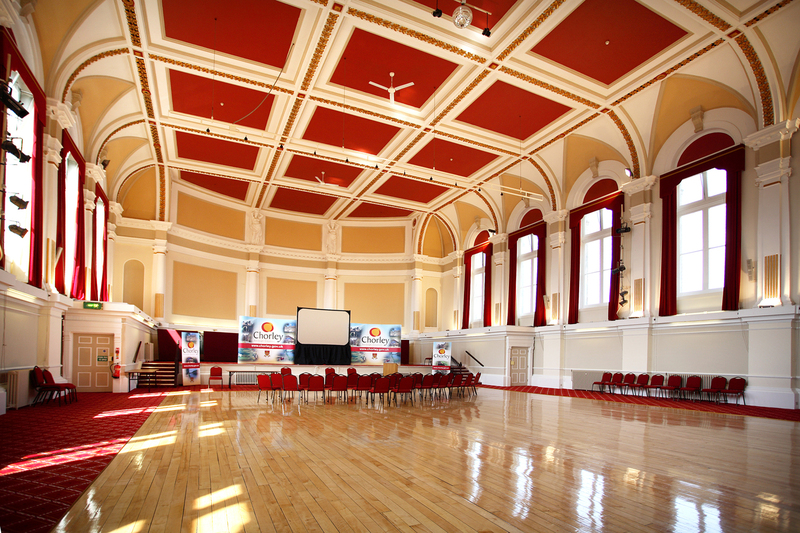 Relocation of the reception area and reinstatement of the main entrance to a central position under the clock tower restored a more civic feel to the building. 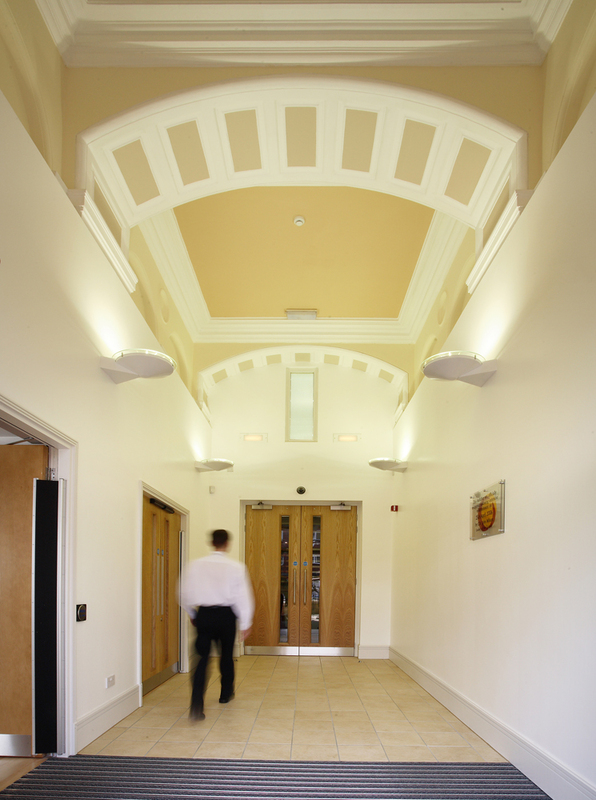 New access ramps with matching stone walls plus a sensitive cleaning of the existing facade complemented the internal remodeling works.